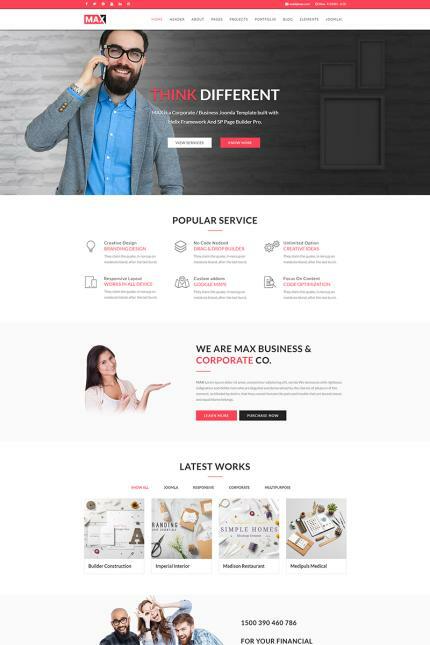 Max - Corporate/ Business / Agency Joomla Template is designed specially for Corporate, Business, Agency and Small Business. Max template has lots of features beautiful looks stunning design that will be suited to your online presence. Max is 100% Responsive and tested on all major handheld devices.